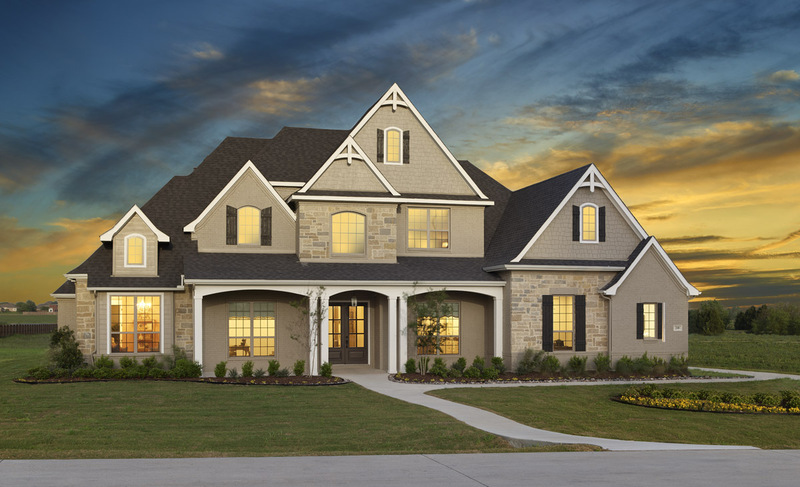 As a Dallas, Fort Worth & Waco home builder, we take great pride in providing quality custom homes to the North Texas area. In order to ensure we continue to excel in our craft, we're always on the lookout for new home design trends on the rise. Whether your New Year's resolution is to redesign or redecorate your home or you need inspiration for brand new construction, here's to ringing in the New Year with these trending styles. 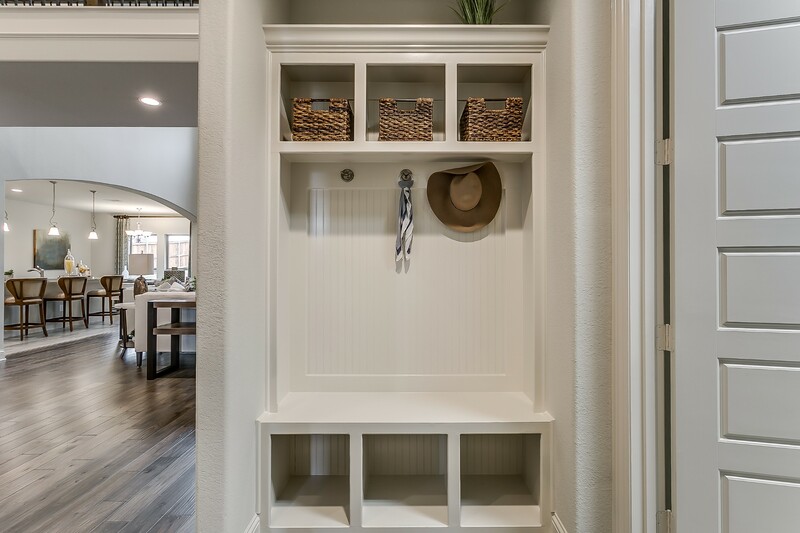 Creative built-ins or cubbies for your family near an entryway or garage door is a great way to keep clutter from spreading through the home. Finally, a place to keep the muddy shoes, back packs, rain jackets and junk mail at bay. 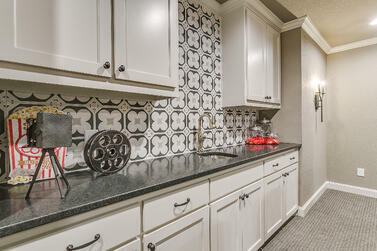 The black and white tile backsplash or bathroom tile has always held a timeless, classic look. Bold tile patterns can be used to add dimension and texture to your bathroom design. 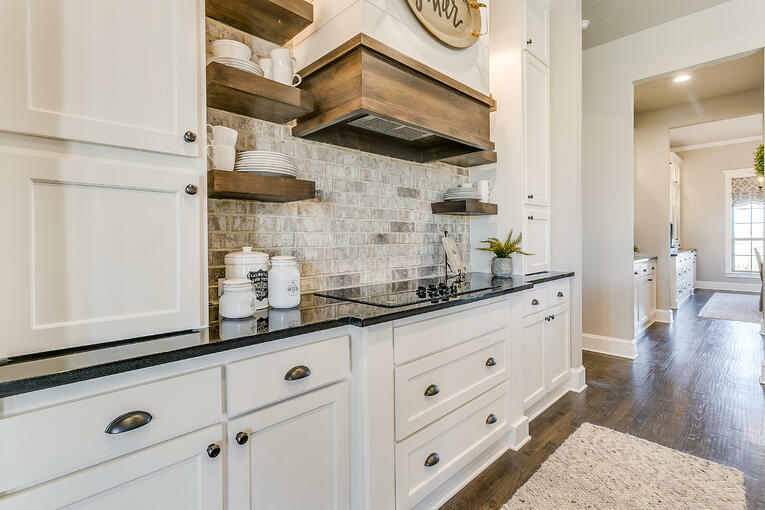 Using white subway tiles with gray or black grout has also been featured on popular renovation shows like Fixer Upper and Flip or Flop to give that extra bit of dimension and character. It's no secret that the farmhouse style home is extremely popular - especially when combined with a modern-industrial flair. One way to achieve this look is by adding exposed wood beams in the main living spaces of your home. For an added flair of surprise, try adding exposed beams to your master bedroom or dining room. The open shelving concept is increasingly more popular with the farmhouse style trend. Combine it with a bold backsplash such as brick or uniquely shaped tiles to add a touch of glam to a cozy kitchen. This charming way to display dishes and home goods doesn't look like it's going away any time soon. The light, airy look is what young homebuyers are looking for. Millenial homebuyers like their spaces light and modern with a touch of traditional. As a result, more people are opting for light wood flooring or laminate options in their main living spaces. Painted brick is a very new trend that we will see a lot of in 2019. Going with the modern look, painted brick is a great way to give your home a clean look without sacrificing the quality and energy-efficiency that brick offers. 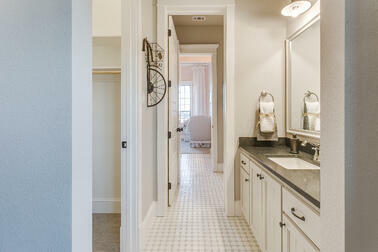 John Houston Custom Homes high-quality, affordable homes in the DFW and Waco metroplex. We also can build custom homes on your lot or in one of our many 1 acre communities. 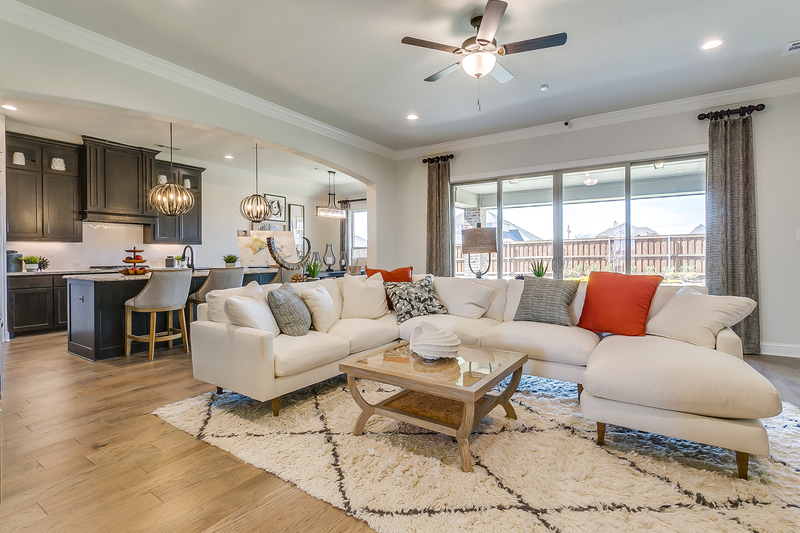 For more information about communities, homes or floor plans we offer, call us at 866-646-6008 or email info@jhoustonhomes.com.